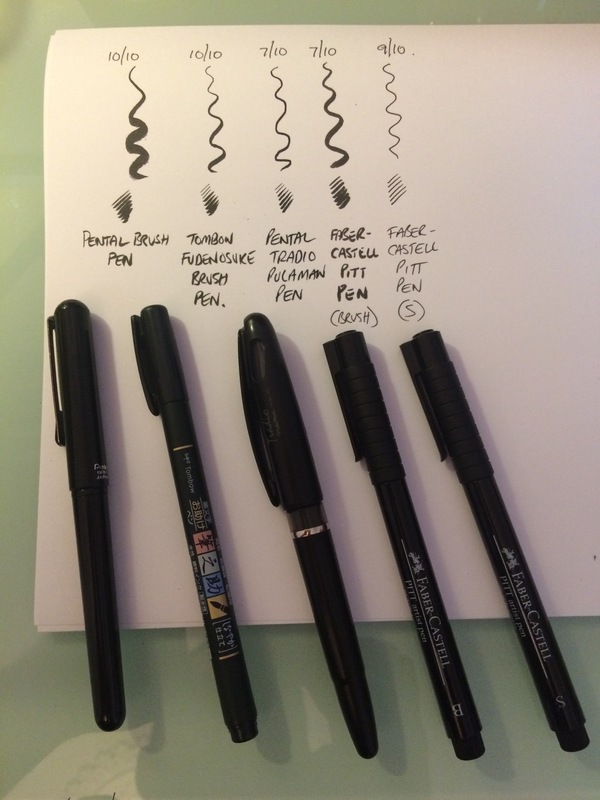 I have recently started using a variety of new pens for my inking, for the sake of speed. I would normally use Windsor & Newton Raphael 2 or 3 and I have no complaints but I wanted to be able to hit the pages after a day’s work and the process was slowing me down. Not by a great deal mind you, just enough to make me avoid inking after an 11 hour day at work. Also, with Raphael brushes they tend to be a little hit and miss in terms of consistency. Quality wise. They are the best out there and the price reflects that. £12-£15 is quite pricey. Another reason for trying brush pens. I will still use brush and ink but I see no harm in trying different tools. So I tried out these pens. The best by far are the Pental brush and the Tombow brush pens. These are fantastic pens. I’ve had the Pental brush for a couple of years but never go round to using it on finished pages. The Pental will give you a much broader stroke and fine line but takes a steady hand to master whereas the Tombow is a little more forgiving. I also use the Faber-Castall s for backgound detailing or the Pental Tradio which can also give a variety of line width. I can’t recommend the first two enough. The Pental brush also comes with refills and is quite reasonably priced. Give them a go. You won’t regret it. 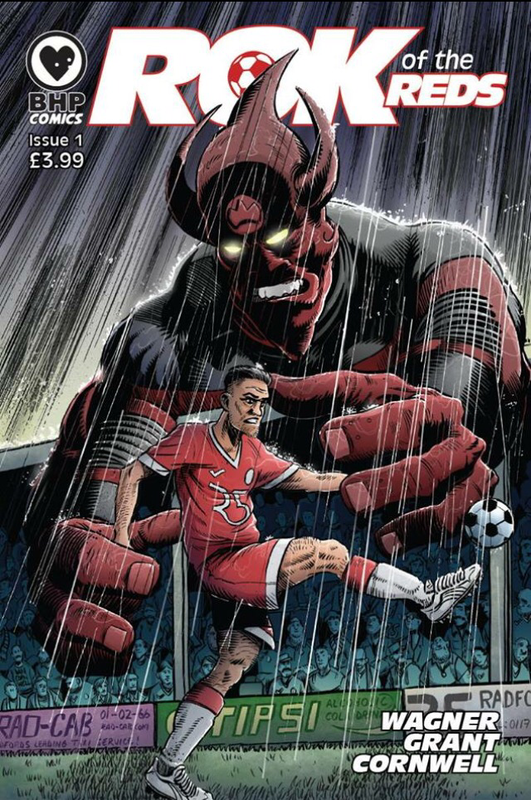 You can now pre-order Rok of the Reds from BHP Comics! 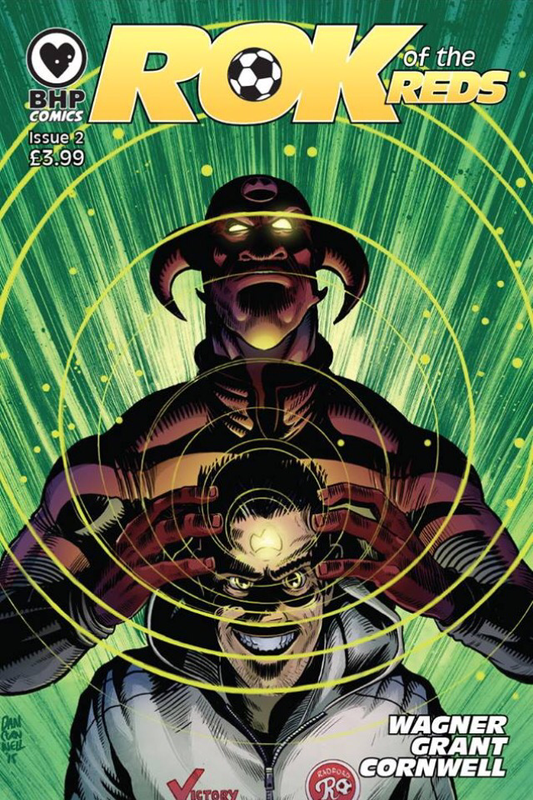 Due out in March it’s a six issue story by industry greats John Wagner, Alan Grant, art by myself, with colours by Abigail Bulmer and lettered by Jim Campbell. My three loves combined, comics, sci fi & football. A beautiful combo.